Japan has many national holidays, here is a list of the most common national holidays that. January 1 New Years or Shogatsu. It is the most important holiday that is celebrated in Japan. A lot of businesses are closed on January 1 and remain closed through January 3. The second Monday in January is also a national holiday in Japan. It is called ‘Coming of Age’. The coming of age for all men and women who are age 20 is celebrated on this day. February 11 is National Foundation Day or Kenkoku kinenbi. Per earliest records this is the day in 660 BC when the first Emperor of Japan was crowned. March 3 is Doll’s Festival or hina matsuri. March 20 is Spring Equinox Day. It may vary by a day or so depending upon the exact day of the equinox. Also called Shunbun no hi. Graves are visited at this time of the year. April 29 is Showa Day or Showa no hi. This is in celebration of Emperor Showa’s birthday. Prior to 2007 it was referred to as Greenery Day which is now on May 4. May 3 is Constitution Day also known as kenpo kinenbi. It is in remembrance of the new constitution. May 5 is Children’s Day or kodomo no hi. It is also referred to as ‘boy’s festival’. The Third Monday in July is Ocean Day or umi no hi. It was recently introduced to Japan to celebrate the ocean. It marks the return of Emperor Meiji who took a boat trip to Hokkaido in the year of 1876. Starting on August 11 2016, Mountain Day or yama no hi will be celebrated. The Third Monday in September is Respect for the Aged Day or keiro no hi. 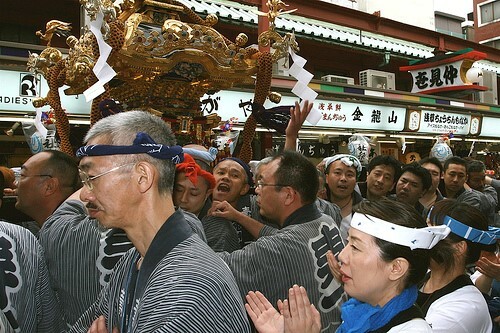 The aged are highly revered in Japanese culture and the elderly and their longevity are celebrated on this day. Approximately September 23 is Autumn Equinox Day or shobun no hi. Graves are also visited on this day as well as the previous equinox. The second Monday in October is Health and Sports Day or taiiku no hi. It was on this day in 1964 that the Olympic Games were opened in Tokyo. November 3 is Culture Day or bunka no hi. This is a day to promote culture and freedom and peace. Schools and governments give selected persons special achievement awards on this day. November 23 is Labor Thanksgiving Day also known as kinro kansha no hi. This is a day to honor labor. December 23 is the Emperor’s Birthday or tenno no tanjobi. The current emperor’s birthday is always considered a national holiday. Should the emperor change then the date of this day will change to his birthday. Although December 24 and 25 are not considered national holidays they are widely celebrated by many Japanese. December 31 is New Year’s Eve or omisoka. This is also not an actual national holiday, although it is widely celebrated. Japan has many national holidays and each holiday has its own form of celebration. Some holiday’s are celebrated more in some areas than in other areas. Author: Aria Meyer is a freelance writer and an active blogger. She writes mainly about fashion and technology, but she also writes about other topics too. She is currently working with several ecommerce websites to help them with content. Aria got her Bachelor Degree from Cal State Long Beach and currently living in Walnut, CA. Right now, she is working closely with AllJapanTours to help them grow the marketing department.